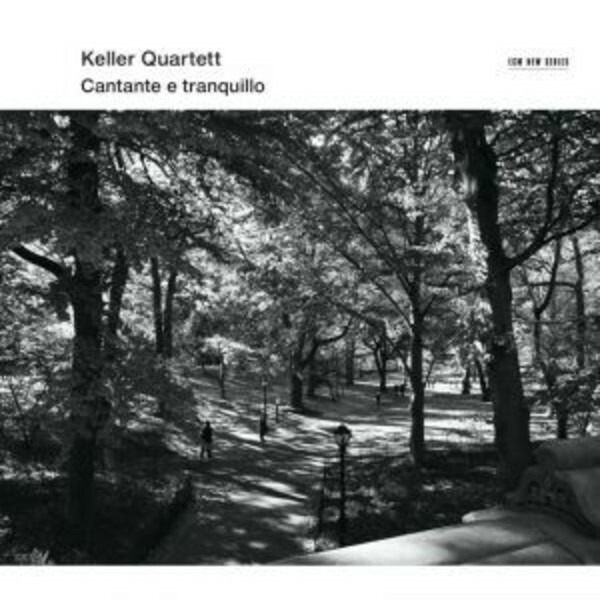 ‘Cantante e tranquillo’ is an exquisite album of slow movements, mostly written for string quartet, which takes its title from Beethoven’s marking for the lento of his final Quartet, Op.135, two performances of which bookend the disc. In between comes music by Bach, Ligeti, Kurtág, Schnittke, Knaifel - plus more Beethoven. Producer Manfred Eicher explains the genesis of the recording: “In conversation with András Keller [leader of the quartet] we envisioned a musical programme based entirely on slow movements. Together we began reviewing the recordings we had made over the last 20 years, juxtaposing works of different historical eras, uncovering correspondences between composers of the past and the present. The Keller Quartett was founded in 1987 in Budapest at the Liszt Conservatory of Music, where its members studied with Sandór Devich, András Mihály and György Kurtág. All three of these distinguished professors were mentors, and Kurtág continues to compose music for them. Besides the composers on this album, members of the quartet have also been heard on ECM recordings of Bartók, Shostakovich and Barber.